Exciting things are happening at Land Rover! The new 2018 Range Rover models are filled with exciting enhancements that will appeal to luxury and performance vehicle buyers. Check out some of the innovative changes to your favorite Range Rover models for 2018. * Customize your Evoque with your favorite color! Thirteen amazing exterior paint colors to choose from. * Introducing standard auto-dimming exterior mirrors on SE Premium model. * Stay connected in your 2018 Evoque with available WiFi upgraded to 4G for faster data upload and download speeds. * The fun Evoque SE Dynamic convertible is now offered with a stunning Lunar/Ivory interior. * The beautiful upgraded exterior includes LED headlights bumpers, a new grille and integrated exhaust. * Stepping into the new luxury cabin, enjoy new 24-way massage seating, Air Cabin Ionization, Gesture Sunblind, and Land Rover’s feature-filled Touch Pro Duo infotainment system. * The perfect mixture of luxury and performance, the new 2018 Range Rover SVAutobiography Dynamic edition features a supercharged V8. Propel yourself from 0 to 60 in an amazing 5.1 seconds! The next model year (2019) is going to be just as exciting for Land Rover with the introduction of Plug-In Hybrid powertrain availability on the 2019 Range Rover and Range Rover Sport. 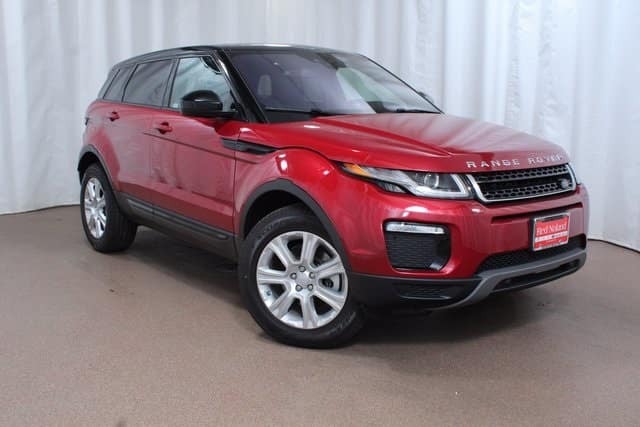 Check out the elegant new upgrades to your favorite Range Rover at Land Rover Colorado Springs.